Home/Our Team/Peter C. Osman, Esq. 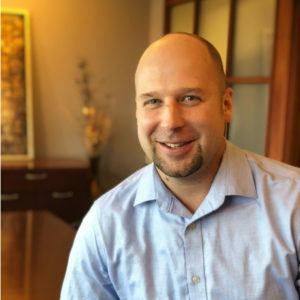 Attorney Peter C. Osman, a graduate of the University of Wisconsin Law School, is a Wisconsin-licensed estate planning attorney. He pursued his undergraduate studies at both the University of Minnesota – Twin Cities and the University of Wisconsin – Madison, receiving his BA with honors. Peter focuses his practice in the areas of estate planning and elder planning. As part of his elder planning practice, Peter received extensive training in the areas of Medicaid asset protection planning. Peter regularly holds educational workshops for clients, professional advisors, and local businesses and organizations. The topics of his workshops focus on his specialty areas of practice, including estate planning, use of wills and trusts, charitable planning, special needs planning, planning for young families, Medicaid qualification, and planning for taxable estates. Attorney Osman is a member of WealthCounsel, LLC, a collaborative, nationwide network of top estate planning attorneys, as well as the Wisconsin Council of Estate Planning Attorneys. He is a member of the Real Property, Probate, and Trust Law and Elder Law Sections of the State Bar of Wisconsin. In his free time, he enjoys golfing, traveling, and spending time outdoors. Peter is also an active member in his hometown community, where he enjoys coaching youth sports and serves as President of the St. Stephen’s Foundation, supporting St. Stephen’s Lutheran Church. To schedule an initial consultation with Attorney Osman to discuss your estate planning, elder planning or estate administration needs please email him at peter@borakoveosman.com, or call (608) 828-4880.